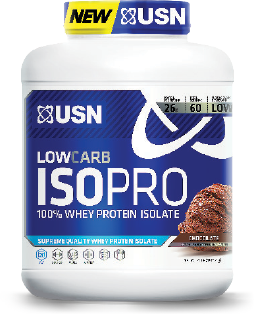 USN Low carb IsoPro 100% Whey Protein Isolate at Bodybuilding.com - Best Prices on Low carb IsoPro 100% Whey Protein Isolate! 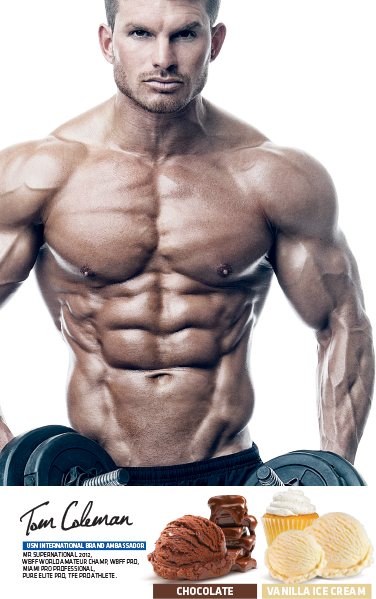 No Low Carb IsoPro Reviews Found. † Percent Daily values based on a 2000 calorie diet. Your daily values may be higher or lower depending on your calorie needs. ALLERGENS: Contains ingredients from milk and soy [as soy lecithin (emulsifier) in dairy protein]. Made in a facility that also processes sesame, egg, tree nuts, peanuts, fish/crustaceans/shellfish oils, and wheat products. 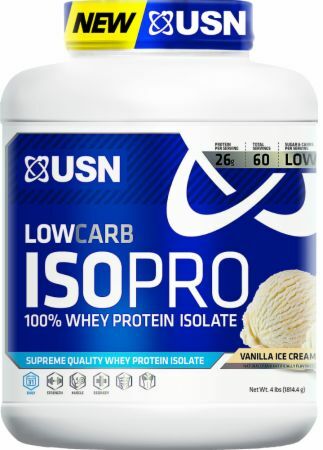 Directions For Low Carb IsoPro: Add 1 rounded scoop of LOW CARB ISOPRO to 5-6 oz. of cold water or milk, and shake or blend thoroughly for 30 seconds or until all powder is dissolved. Vary the amount of liquid to achieve your desired texture and consistency. Warnings: Consult with your physician prior to use, especially if you have a medical condition. Taking more than the recommended dose may cause GI discomfort in certain individuals.